Ciardis Weathervane is officially engaged to one man and bonded to a second. She should be planning the wedding ceremony, bearding the nobles of the imperial court in their dens, and exposing an imposter emperor. Instead she’s spending her engagement on the lawless road to the western lands. Now with the help of a guide from a tribe of seers, Ciardis is traveling to the ancient city of Kifar. Rumored to hold the only device capable of stopping the blutgott, Ciardis, Sebastian and Thanar must break a half-century’s old quarantine in order to enter the fabled city. But the collar of Diamis is not the only thing they seek. The princess heir’s pet wyvern lurks in wait for them and the emperor, who has done everything short of challenging the new triad of Algardis outright, wants its head on a platter upon their return. If the unscrupulous bandits don’t make short work of them, Ciardis knows that when they return she and Sebastian will have to a face and unmask the man who has stolen the imperial throne. The only question that remains…will that be before or after they’re forced to battle a god? 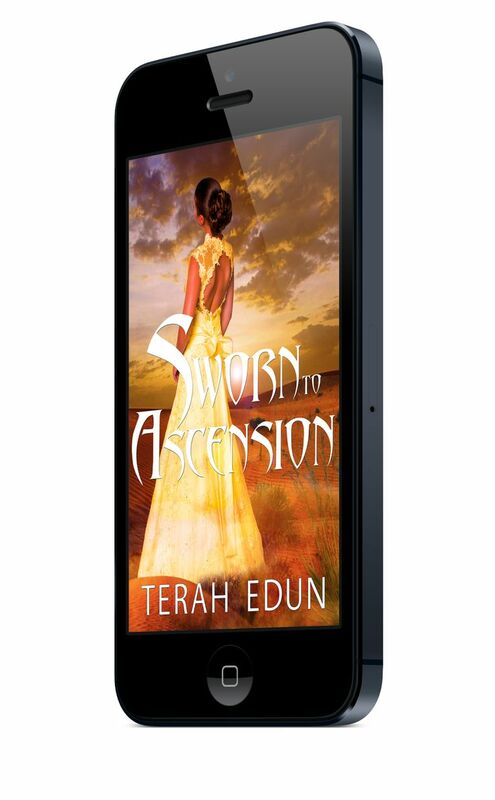 "Terah Edun once again has us on the edge of our seats "
"Her writing is utterly mesmerizing. I couldn't put it down! I was excited, frustrated, addicted!" "I often didn’t realize how far I had read in the book until after I turned off the app to go to bed – that’s how much fun I was having with the characters." "While the other books were interesting and definitely captures my attention, this book had something else....another engaging read!"" 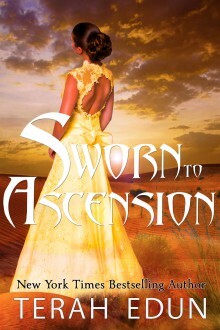 "Ascension is an essential bridge...furthermore, it was a thoroughly enjoyable read." "Full of action, mystery, inner struggles, and love. I just can't get enough!"